This is how we kept warm on icy mornings, back in the day before the meetinghouse had a wood stove. Friends would heat the stones in their own hearths, place them in metal carriers, and huddle over them in the hour of worship. The stones would also keep the carriage warm on their journey. 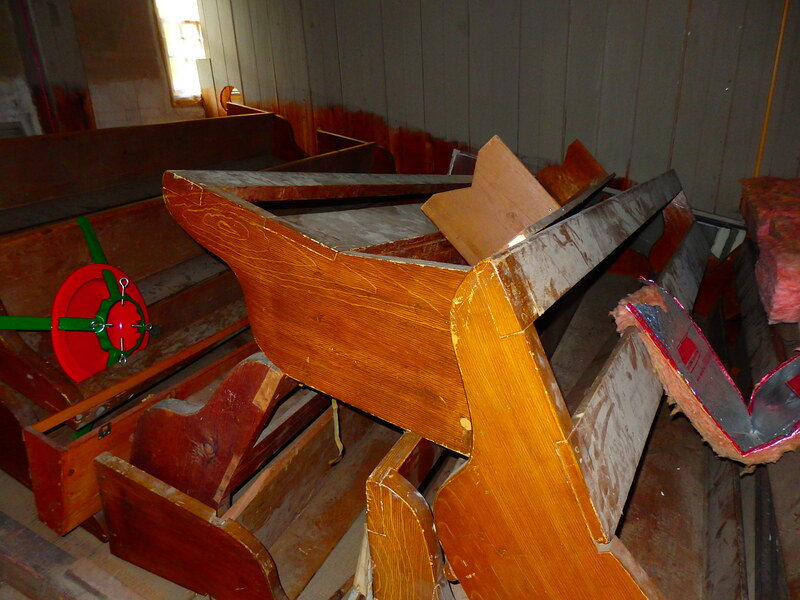 We call them “benches,” not “pews.” And they’re movable, not fixed to the floor. 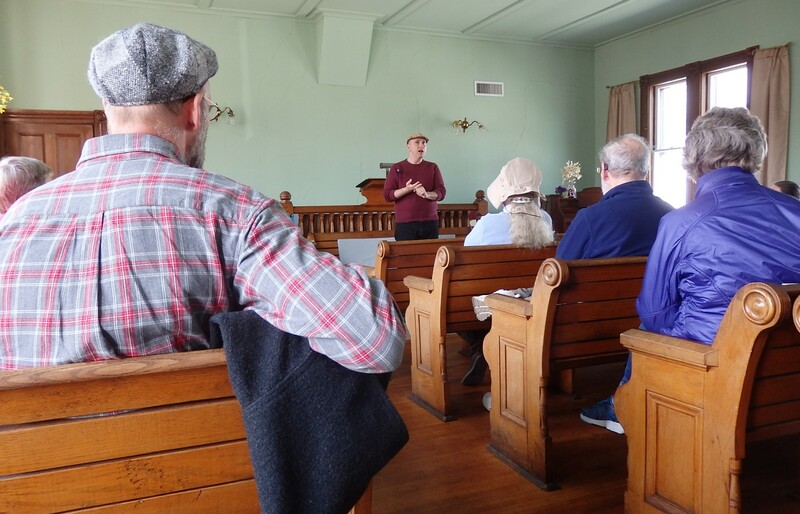 But as we’ve adapted more of the meetinghouse to other functions, chairs have replaced benches in some rooms. So what do you do with the old ones? 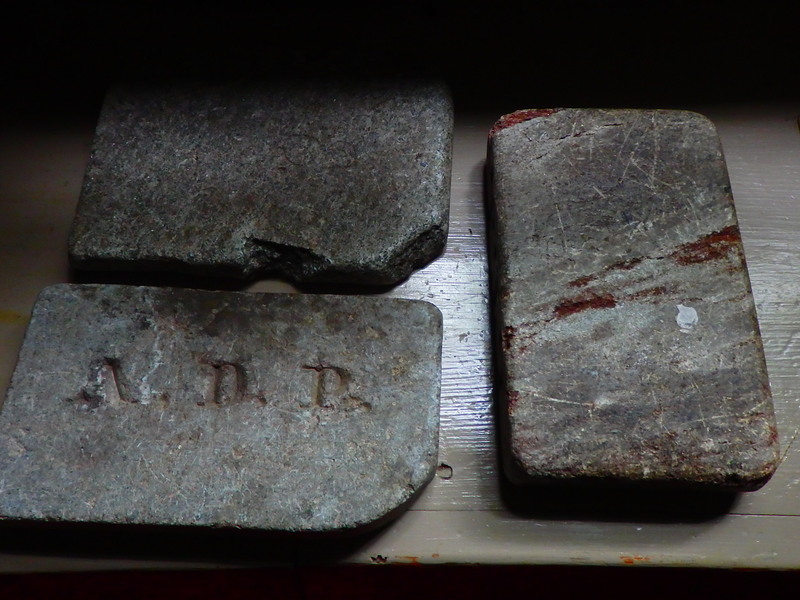 These are left in the old gallery. Notice the sloped floor. Benches used there wouldn’t work on a flat floor — they’d need to be adapted. Above the coffee pots in our meetinghouse sits this painting, originally used as an illustration in an edition of John Greenleaf Whittier’s collected poems. 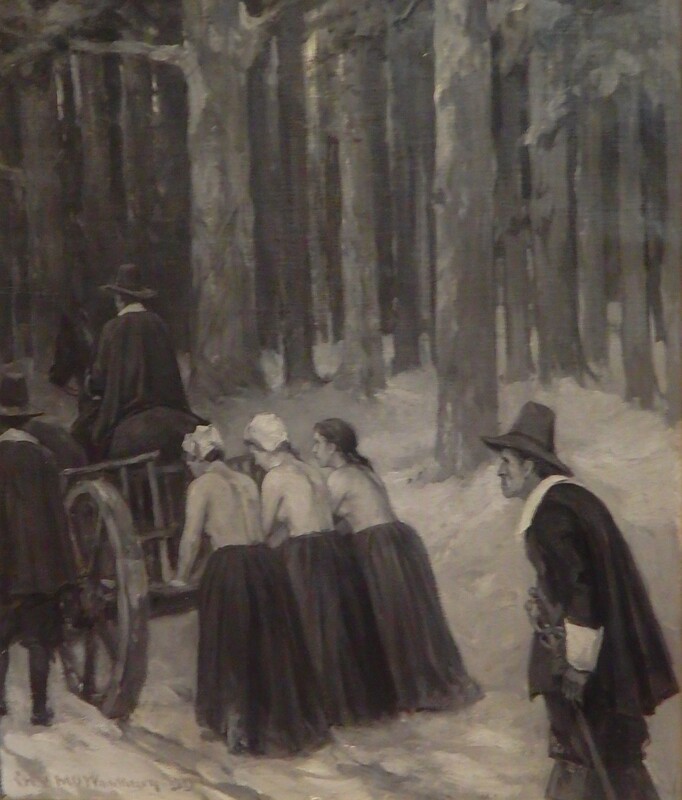 The three women were ordered stripped to the waist, tied to a cart, and whipped in each town from Dover to Cape Cod. It would have been a fatal sentence, had the cart not turned north instead — and a sympathetic magistrate in Maine. 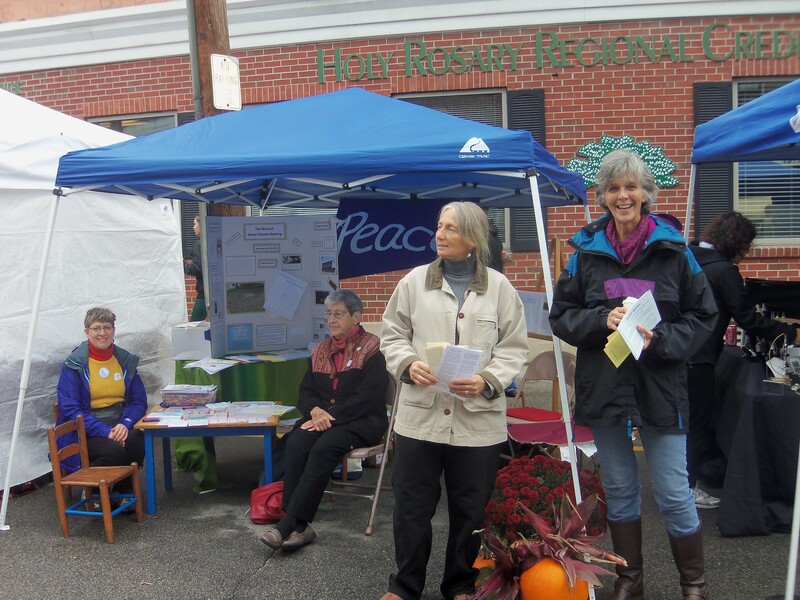 The particular poem is “How the Women Went from Dover,” telling how three Quaker women came to town in 1662, preaching and teaching until they were arrested, convicted, and sentenced to cruel punishment. It was the start of our Friends Meeting, the fifth oldest congregation in the state. Despite continuing persecution, nearly a third of the population became Quaker. Nowadays, the general public knows little or nothing about Quakers. So some of us are trying to be a bit more visible. For the past several years we’ve been participating in the annual Apple Harvest Day street fair the chamber of commerce hosts the first Saturday in October. It’s grown into a beehive that sprawls over the entire downtown and down along a riverside park, attracting tens of thousands to town. 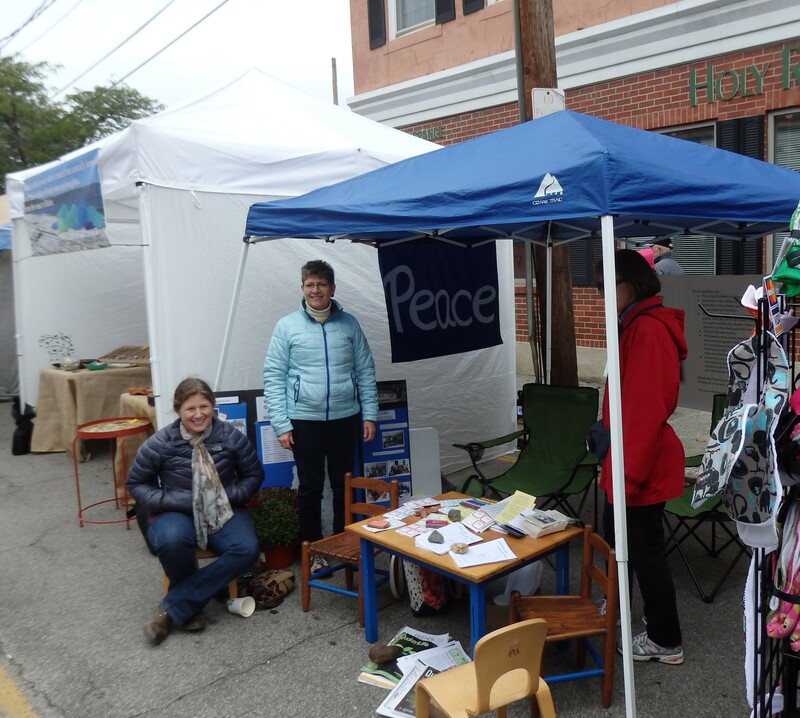 While many of the tents are for arts and crafts vendors or local eateries, nonprofits are also a major presence. Our first year. Nothing too slick. Each year, we’re learning a little more. Remember, too, that it’s repeated positive impressions that eventually lead individuals to try what you’re offering. We’re just getting our message out. 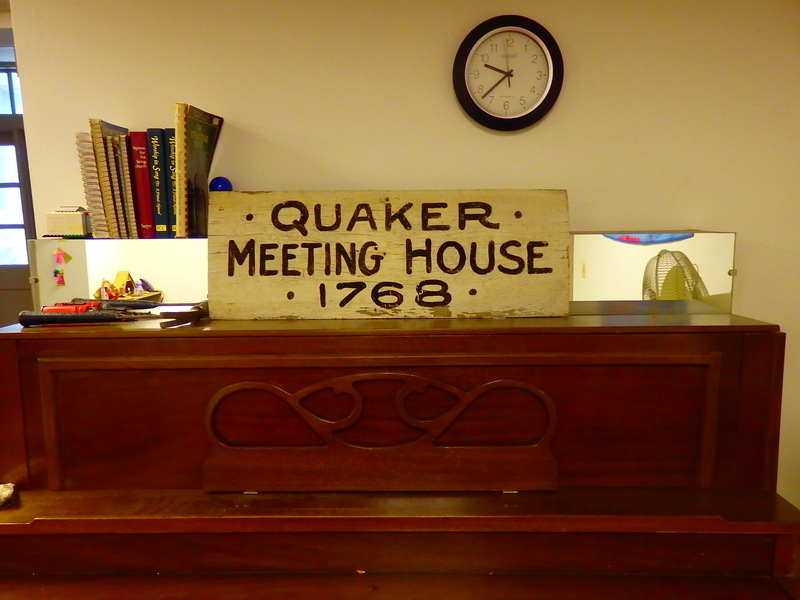 We’ve developed from these humble first appearances to a more focused Meet a Quaker theme. Unlike many of the other tents, we’re not selling anything – we’re just trying to raise the visibility of the state’s fifth oldest congregation. We met a lot of friendly people, answered questions, asked a lot of our own, and had a good time. Peterson Toscano is a remarkable Bible scholar, one who frequently opens a passage in a new way to me. Let’s say I quote him a lot. But he’s also, well, as he’s described it, a “quirky, queer, Quaker performing artist and comic” and environmental and social justice activist and a lot more. He adapts readily to any audience, large or small, young or old, indoors or out. Oh, and he is incredibly funny, even when dissecting a Biblical passage. I always find him quite refreshing. 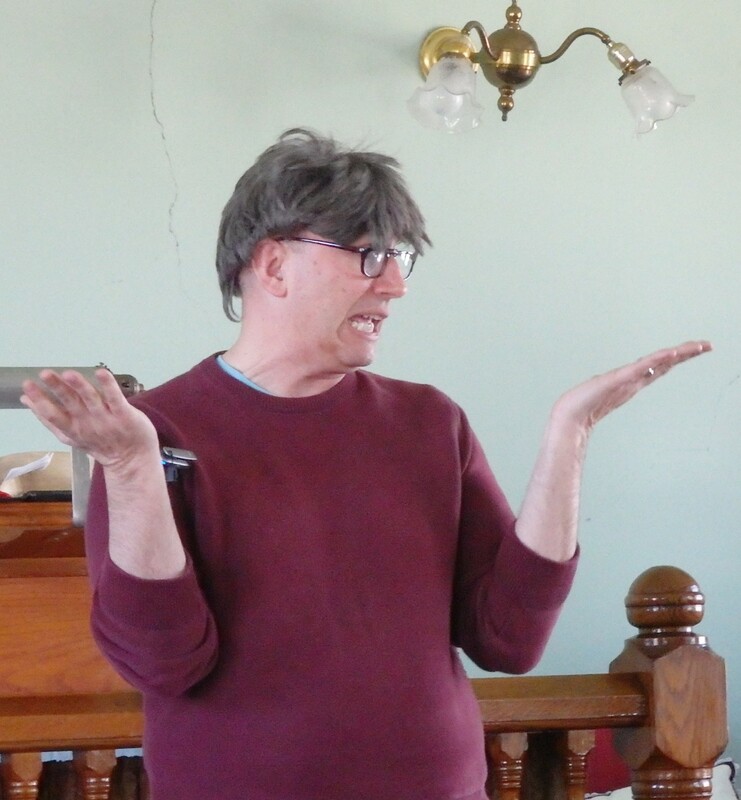 Here he is in the Gonic meetinghouse in Rochester, New Hampshire. … and as Marvin. Some of his characters, though, as so convincing I can’t see Peterson at all. 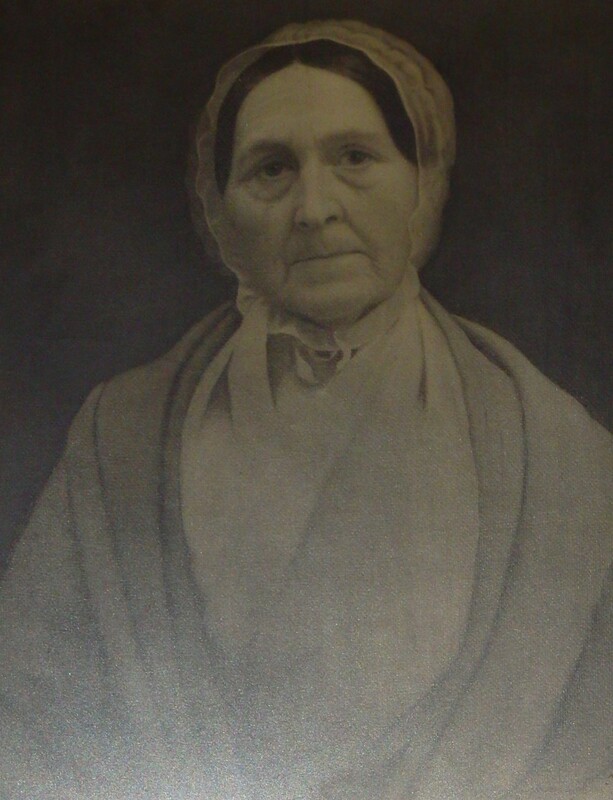 This portrait sits on a ledge above a stairway in the Dover Friends meetinghouse. I’m not sure who she is, but the dress is in the Quaker style of the 1800s. It’s a big cabinet with protective doors. I love the smell of old books when they’re opened. 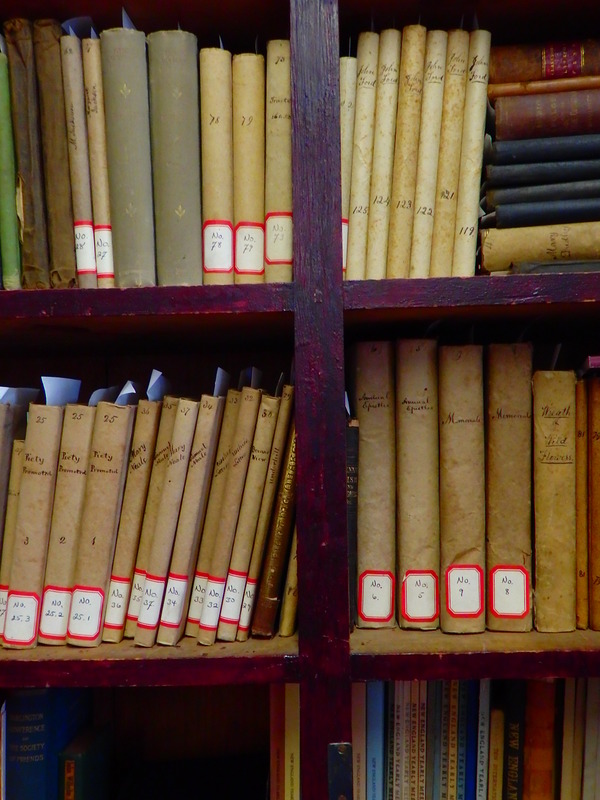 The library in many Friends meetinghouses may have a few shelves like this. From a similar bookcase in Ohio I once borrowed Joseph Besse’s 1753 two-volume A collection of the sufferings of the people called Quakers, for the testimony of a good conscience from the time of their being first distinguished by that name in the year 1650 to the time of the act commonly called the Act of toleration granted to Protestant dissenters in the first year of the reign of King William the Third and Queen Mary in the year 1689. 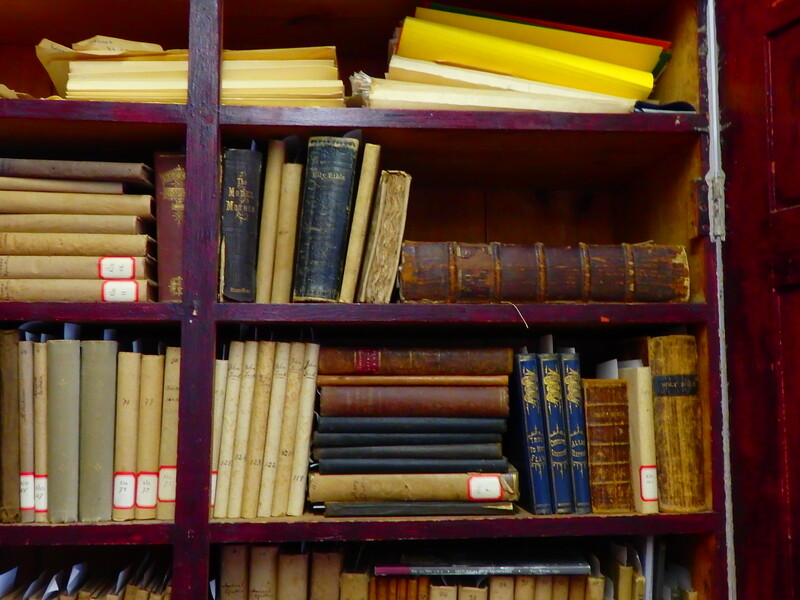 Alas, we don’t have that one in our collection – those big books are a genealogical treasure. We still have plenty for a serious scholar or bibliophile to engage. It’s likely that many of the authors visited Dover as travelling ministers. 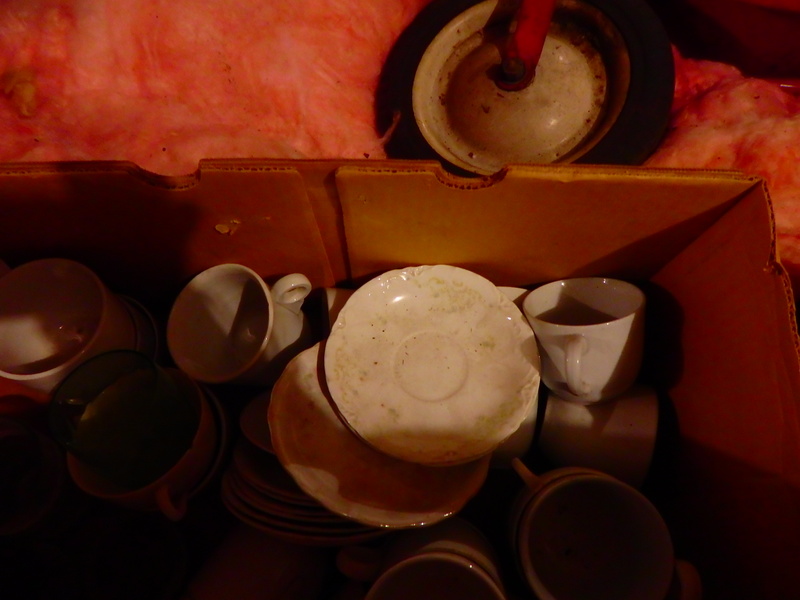 Who was it who so meticulously wrapped and cataloged all these and more so many years ago? Found stashed in the gallery upstairs. We’re getting ready to commemorate the 250th anniversary of the erection of our meetinghouse in June 1768. It’s our third and went up in one day, like an Amish barn-raising nowadays. 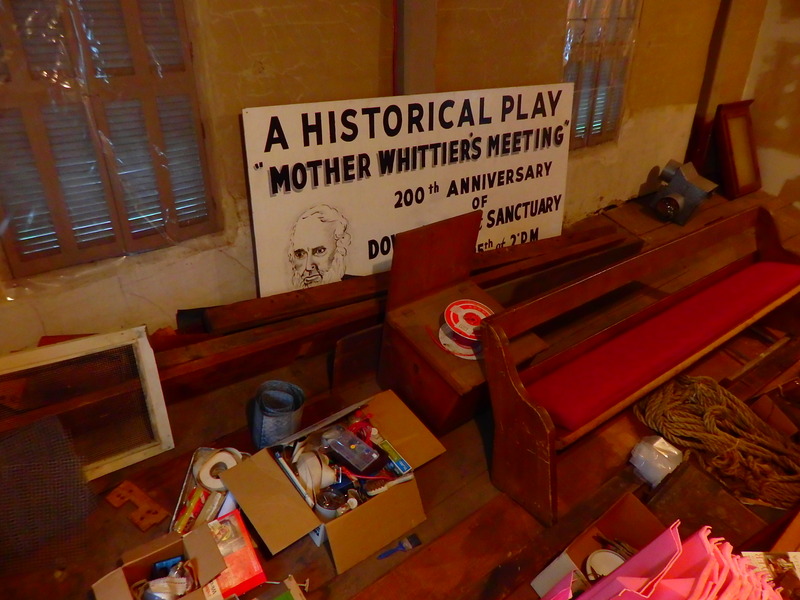 The big sign stashed in the gallery upstairs announced a play one Friend wrote and the rest of the Meeting performed in honor of the 200th anniversary. Yes, poet John Greenleaf Whittier’s parents were married in our meetinghouse.